MASON, Ohio – Makino will unveil a new version of the EDBV3 machine, which is an EDM Drilling machine designed for producing cooling film holes in Blade and Vane turbine engine component details. 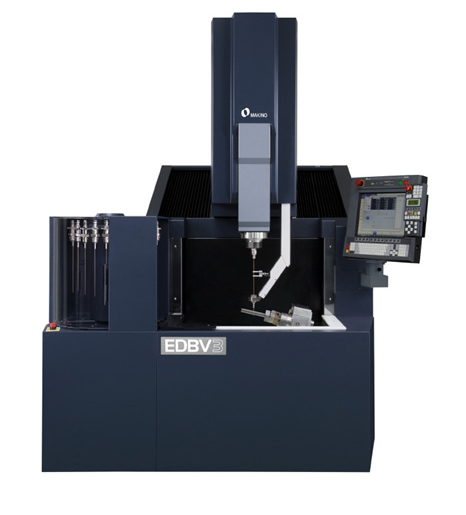 The EDBV3 utilizes a fully submerged operation to enhance machining speed and accuracy. The submerged operations is a critical element for stable breaking through operations, especially when machining into a hollow internal cavity, and the machine is capable of detecting break through within 1 second. The EDBV3 will also use Makino’s new fully digital ES200A generator that provides faster machining speeds with an increase in power of up to 80 Amps, and uses the Hyper-i control that delivers a common interface for all Makino EDM’s and contains many helpful advanced functions that support the every need of the operator to boost productivity. The revised EDBV3 machine design has focused on streamlining production applications, and has looked to improve the machining speed while minimizing the non-value-added motions. The rapid feed rate of the machines X/Y/Z travels of 370 x 270 x 750mm (14.65” x 10.63” x 29.53”) has been doubled from 5 meters-per-minute to 10 meters-per-minute, which will reduce the overall tact time for positioning. The machines standard integrated 2-Axis Rotary table has also been reconfigured so that the work piece is closer to the center of rotation (reduces positioning distance), and the indexing speed has been improved from 3 rpm to 10rpm. The new EDBV3 provides a larger Z-Axis stroke that supports electrode tube lengths up to 750mm (29.5”), and features a fully enclosed work zone with interlocks for increased safety. The ATC (Automatic Tool Change) times have been significantly reduced, as the ATC Unit has been raised so that the work tank does not need to more or drain during electrode exchanges. The machine layout has been optimized so that maintenance access is minimized so that the machines can be installed closer together to reduce the total floor space requirements. 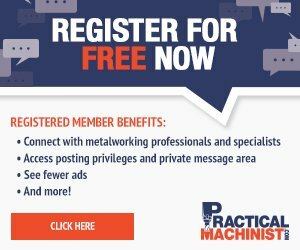 See the EDBV3 at Makino’s booth in the South Hall at IMTS 2018.